As long as you have a piece of jewelry, I bet you must love and care about it. 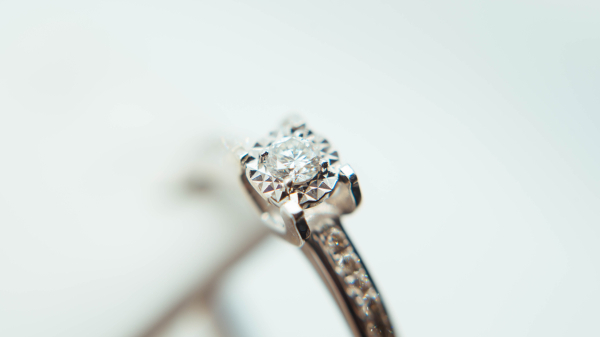 Even a perfect jewelry requires careful maintenance to keep it shining. During the whole year, the hot summer days hurt them most. Just like people, jewelry is also easy to get hurt by UV. How to take care of jewelry in summer in a proper way? This post is going to tell you the DOS and DON’TS about jewelry care in summer. Diamonds have the highest hardness among all the gemstones, but because of the lipophilicity, they tend to attract grease and oil to their surface, which can affect the diamond’s shine. 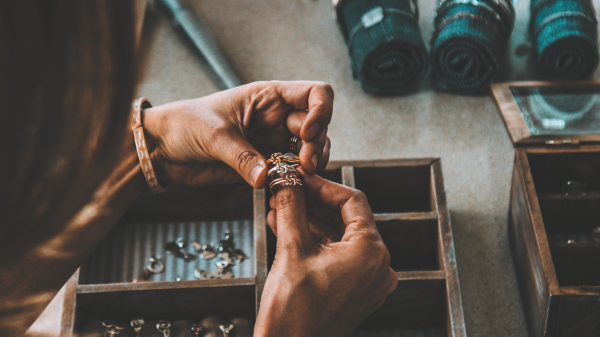 Don’t wear any jewelry with diamonds when you are doing kitchen chores, washing clothes or other work that may let them contact with chemicals. Don’t expose diamond jewelry to the sunshine or anything above 100 °C. Don’t bump your diamonds. Simple housework won’t hurt the diamond, but heavy work can. Although they have high hardness, they still could be damaged by accident. Clean by yourself. Diamonds are more diligent in cleaning than other gemstones. But be sure to use a neutral detergent, instead of soap, as soap contains oil and fat. When you clean the diamond, first immerse it in a small dish containing detergent, then gently scrub it with a toothbrush. After, use a mesh sieve to cover the diamond and rinse it under the tap. Finally, pat it dry with a soft lint-free cloth. In addition, you can easily find a special liquid for cleaning jewelry, which usually comes with a container, and then you can just clean following the instructions that came with the product. Professional Care. Even you clean the diamonds by yourself very often, I still recommend you send them to a jewelry store for a professional cleaning every six month. 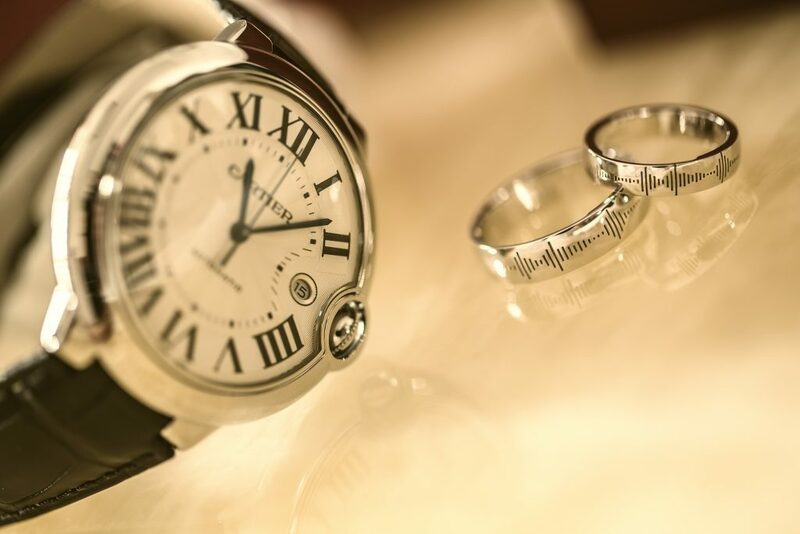 The jewelry store can also fix issues that appear in time, such as, the stones becoming loose, the setting deformations, and even a professional “beauty treatment” for the faded setting. How to store them. Keep your diamonds separately in the jewelry box. If there is no box, you can use a separate bag to avoid mutual frictions with other pieces. Daily wear. If you like to wear diamonds every day, a good wearing habit is necessary. Try to minimize it from getting in contact with other objects. You would better not wear them when you are sleeping or bathing. Also, cosmetics, such as lotions or skin creams, are not nice to diamonds, because they consist of fats and oils, which is hard to remove from stone surface. Pearls are an organic gemstone which means it is the most vulnerable. They are easily damaged by acid or alkali, and poorly react to heat. Therefore, compared to other stones, pearls require more maintenance. Don’t touch your pearl necklace too often.I know, many ladies can’t help touching the pears on their necks. However, this habit actually affects the pearls gloss and brightness. Pearls main component is calcium carbonate (CaCO3). In summer human skin produces much more oils, so when you touch the pearl necklace, the grease from your fingers will adhere to the pearls and eventually little shining balls will change the color. Don’t wear pearl jewelry when you cook. There are many tiny pores on pearls. So, when you cook with wearing pearls, the smoke, vapor and grease will get inside of them. 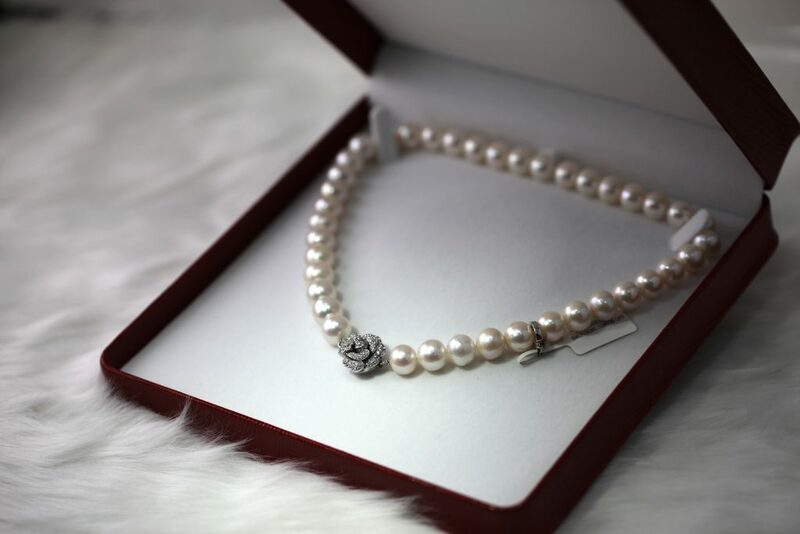 If the pearls are contaminated with these air pollutants for a long time, the shine will slowly fade, and eventually the pearls color will be dull. Don’t use water to clean pearls. Many of my friends wash pearls with water. In fact, this cleaning method is completely wrong. Because in the process of cleaning, the water will enter the small pores of the pearl, which is not only difficult to dry, but also allows the pollutants to remain in the pores, and eventually will destroy the pearls surface. Don’t keep exposing pearls to the sunlight. Pearls contain a certain amount of moisture. When wearing and storing pearls, you should try to avoid direct sunlight. So, during outdoor activities at daytime, you’d better avoid wearing pearls and prevent them from drying out. Clean pearls with a wet flannel. This method of maintenance is very simple. You only need to get a flannel, wet it with pure water, and then wipe the surface of pearls softly. Pearl jewelry must be stored separately. Do you always put all of your jewels in one box? For the sweet pearl jewelry (the Mohs hardness of the pearl is only 3), this way will undoubtedly result in scratches on the surface of the pearls. So store them separately, preferably in a cashmere box to keep them in a smooth state. Let the pearls breathe. Do you keep your jewelry in the safe? Many people do just that; it is good for safety, but it will also make the pearls to suffocate. Actually, you should wear them at least once in a quarter to let them breathe, otherwise the pearls color will become darker. Wear pearls AFTER makeup. As an organic gemstone, any perfume and cosmetics will affect it. Therefore, it is recommended that women should wear pearls after makeup to prevent their surface from being damaged by chemicals in cosmetics. 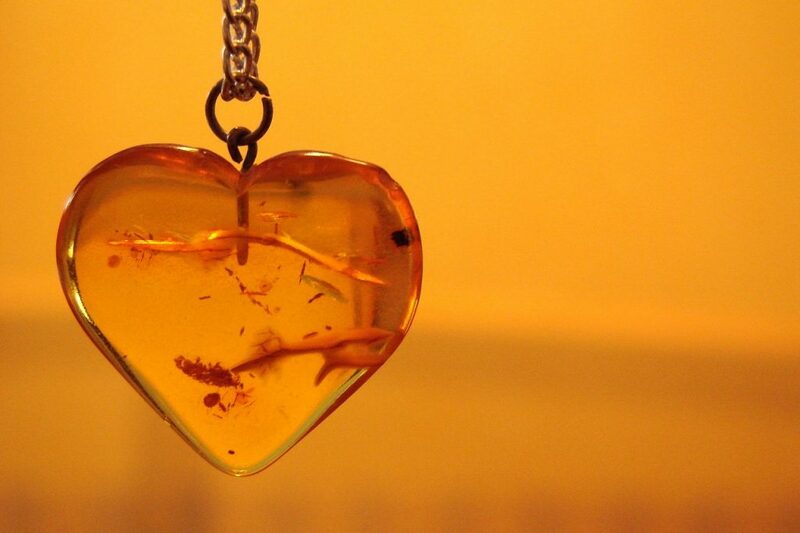 Summer is a perfect time to wear amber. Our skin oils can make amber shinier and moister. However, the special natural environment in summer also brings some trouble to the maintenance of amber. Don’t smash them. Amber is fossils of natural resin and almost entirely composed of organic matters, which means they have low density and low hardness. So, be careful, don’t smash them when you are outside in the summer. Avoid flames and high temperatures. Amber is very sensitive to temperature changes. At 150 °C, amber begins to soften and gradually decompose. In addition, temperature changes can also cause cracks in the amber. Although the temperature in summer may not be 150 ° C, it will still affect amber aging, turning them into dark brown and resulting in surface cracks. Watch out for organic solutions. As mentioned above, amber is made up of organic matter, so you would better not let them contact with organic solutions, such as, alcohol, nail polish or perfume. If you soaked the amber into these solutions for a long time, the succinate in the amber will decompose and cause a black surface. If it happened, that your precious jewelry came into contact with such substances, no need to worry – just wash the surface as soon as you can to not allow the contact for extended period of time. In addition, the correct way to clean the amber is to soak it in warm water with a neutral lotion, rub it with your hands and rinse it with water, then dry it with a soft cloth. Moisturize the amber. Amber really hates the dry environment, because it eventually will cause cracks. Actually, it is better to wear them next to your skin and let your skin oils moisturize them. Amber should be stored separately. Don’t put amber together with other hard items to avoid scratches, and it is best to put amber in a soft box. Also, do not brush amber with anything hard, for example a toothbrush, as it will hurt amber surface. If you like to wear gold in the summer, just remember to wash it frequently by using neutral detergent or going to a professional jewelry store. Don’t wear gold while swimming. The water in the pool contains many chemicals. Don’t wear gold, especially gold rings, when you are doing heavy work. 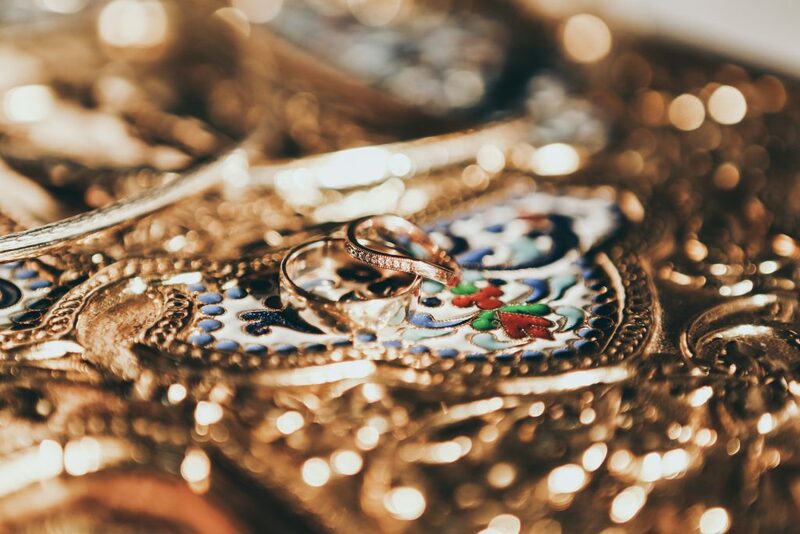 Don’t let pure gold jewelry contact with corrosive or active substances, such as perfume and hair gel, in such case the color will fade rather soon. Pure gold jewelry should not be stored or worn with other metal accessories. They will rub to against each other, and since gold is a soft material this surely will result in scratches. Gold is soft and easy to deform, so do not try to test your strength against your favorite gold necklace and other accessories. The mixture of salt and vinegar can be used to clean pure gold jewelry. If there are black spots or even a kind of film on the surface, you can make a “Gold Cleanser” by mixing 2 grams of salt, 7 grams of baking soda, 8 grams of bleaching powder all mixed in 60 ml of water. Pour the mixture in a bowl, then put your gold in it. After 2 hours, take it out, rinse with clean pot water, let it dry, and then wipe it with a soft cloth. Using the mild soap and soft brush is the easiest and most convenient way to clean gold. 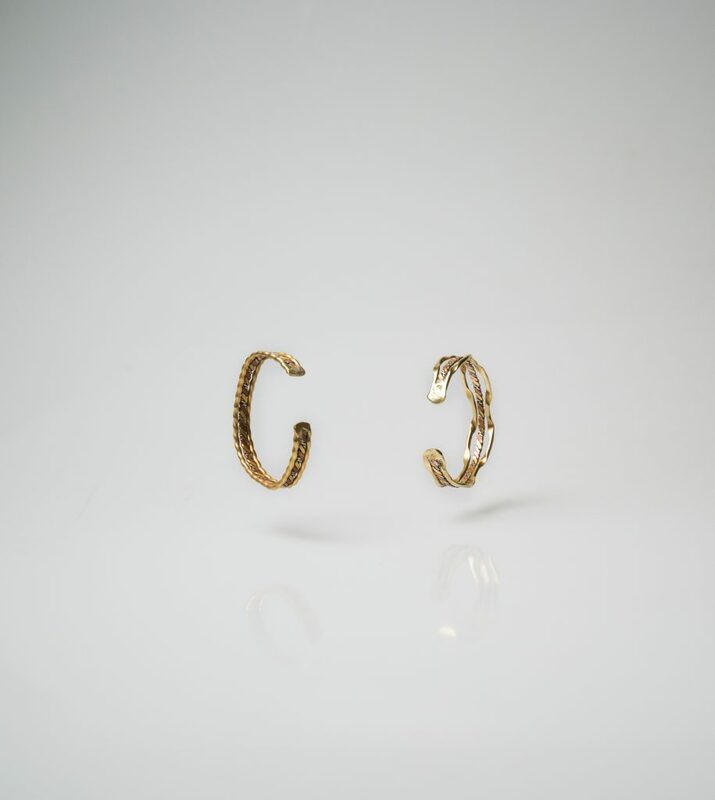 After being worn for a while, the gold often loses its gloss because of the stains and dust. In this case, you can just put the gold in a neutral detergent and soak it in warm water, then wipe it dry with soft clothes. Don’t wear silver while bathing. Tap water often contains bleaching powder or chlorine, which has a serious erosive effect on silver. Don’t let silver contact cosmetics. Some cosmetics contain not only mercury but also sulfur, which causes silver sulfide. In addition, if the air contains sulfur, it is also not good to wear silver. Those who live or work in chemical plants should be careful to wear silver jewelry. Don’t wear pure silver jewelry when you are in hot springs or go for a swim. It will react with gases dissolved in water and result in silver surface becoming black. If the silver has been oxidized and blackened, you better do not try to clean it by yourself, go to a jewelry store to get a professional care. After taking the silver off, you need to gently wipe the surface with a cotton cloth or paper towel to remove the moisture and dirt, then keep it in a sealed bag to keep it away from dirt and dust. Although brass jewelry is not expensive, it still needs to be taken care of. Don’t wear brass jewelry while bathing or washing clothes, you should protect it from acids and bases. Don’t let brass jewelry contact with sweat and skin oils for a long time, as that will corrode its surface. Keep the brass jewelry separately from other accessories or hard objects to avoid scratches on the surface. Use clean water, toothpaste and soft brush to restore the surface brightness (but large scratches will not be restored in this way). Use cotton cloth or tissue to remove the sweat and skin oils from the surface, then keep it in a sealed bag. Generally, every marital should stay away from chemicals and direct sunlight and better take it to a professional for cleaning and possible repair from time to time. You can probably have such service in a jewelry store where you bought this item or at least they could advise you where you can get this service. It is better to check on your jewelry condition, especially during the hot summer. And don’t forget to enjoy wearing your shiny pieces!